What are the advantages and disadvantages of each? Which one is better? It’s important to note that not everyone has a choice. Only a small percentage of intending immigrants has the choice between adjustment of status and consular processing. The requirements for adjustment of status greatly limit the number of people that may be eligible. Generally, the applicant must be in the United States through a lawful entry and a visa must be immediately available. Only immediate relatives (spouses, unmarried children (under age 21) and parents of U.S. citizens) always have a visa available. For this reason, typically only immediate relatives in the U.S. even have the opportunity to adjust status. Family preference categories generally end up going through the consular process. Some international USCIS consular processing times may be even shorter. If the petitioner resides within the jurisdiction, he or she may file an immigrant petition (Form I-130) for an eligible family member at one of these international USCIS offices. Check the location’s website for specific instructions on filing. Although it may take more time to obtain permanent residence through AOS, the obvious benefit is that the applicant completes the process in the United States. 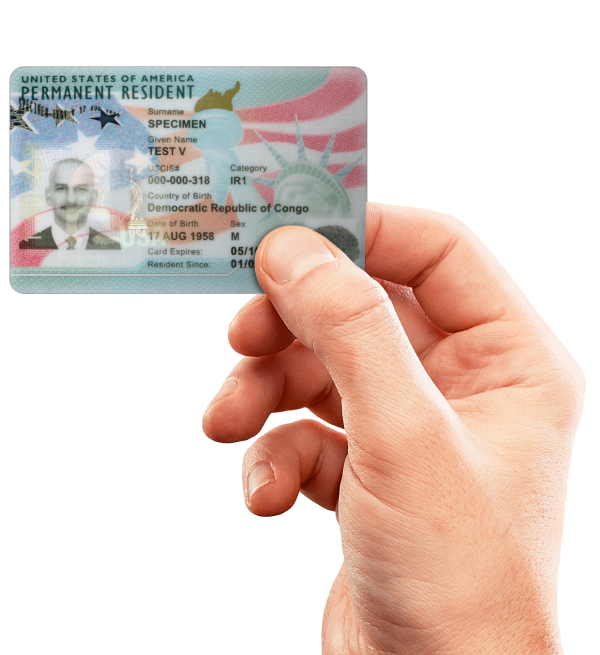 This allows the applicant to be with U.S. family members and even work (with the employment authorization) while waiting for a green card. During the wait for a green card, many applicants want the ability to be with family in different countries. For example, a new spouse may reside in the United States, but extended family members are in another country. While waiting for USCIS to approve the I-485 application, the adjustment of status applicant may travel outside the U.S. provided he or she has obtained the correct authorizations. In most cases, the applicant must obtain an advance parole document. This is easily done by filing Form I-131, Application for Travel Document, concurrently with Form I-485 or at any time it is pending. In fact, there’s no USCIS fee for Form I-131 as long as the Form I-485 filing fee was paid. Generally, an AOS applicant that leaves the United States without advance parole is automatically considered to have abandoned the I-485 application and may not be able to re-enter the U.S. So obtaining the advance parole document prior to departing the U.S. is extraordinarily important. It may be much more difficult to visit the United States while an immigrant visa petition is pending. Though it’s possible to get a B1/B2 visa, it shouldn’t be expected. When the I-130 petition is filed, it signals to the U.S. government that the beneficiary intends to live in the U.S. permanently at some point in the future. As a result, your application for a nonimmigrant visa (such as a visitor visa) will receive additional scrutiny. Nonimmigrant visas are generally only issued to travelers that provide sufficient evidence that the visit will be temporary. Spouses of U.S. citizens may be able to apply for a K-3 visa. The K-3 visa (and K-4 for child dependents) allows the visa holder to enter the U.S. while awaiting the case. K-3 spouses generally adjust status once they enter the U.S. The set of forms that you’ll file for a family-based adjustment of status package is generally more extensive than consular processing. But consular path is almost always less expensive than AOS. 1 Form I-130A is only necessary if the beneficiary is a spouse. 2 USCIS has a reduced fee for a child (under 14) if the application is filed with the I-485 of at least one parent. 3 There is a fee to review the Affidavit of Support only when filed domestically. 4 This is an optional form, but USCIS waives the fee if you file it together with the I-485 application. There are other costs associated with both paths. Every applicant must submit a Form I-693 completed by a USCIS-approved physician. There is no fee for the form. But the doctor will charge a fee for the exam. The cost of the required medical exam will vary by country, doctor, and any additional vaccinations that may be required. 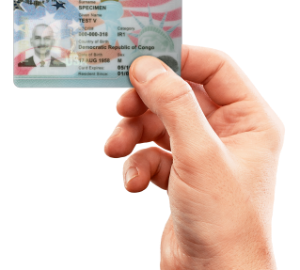 Other costs may include photos to submit with the application, postage, and any transportation fees associated with travel to your USCIS or consular interview. In addition to the time and financial requirements, some applicants may need to consider immigration officials’ adjudication guidelines. In other words, USCIS and the U.S. Department of State of different a decision making process. Some factors in an applicant’s history may be evaluated differently for adjustment of status as compared to consular processing. Overstaying the period you were legally allowed to be in the U.S. If an AOS case is denied, the applicant may challenge the denial through the administrative and/or judicial appellate processes. Consular processing has a lower risk of refusal. Unlike USCIS officers, consular officers cannot refuse to issue an immigrant visa based on discretion. This means that the consular officer must have specific, factual evidence for denying an application. If you have immigration violations on your record, a criminal record, or other negative factors (such as those listed under AOS), consular processing may be a more favorable path to a green card. Consult with an immigration attorney if your history includes negative factors. However, consular cases for an immigrant visa that are denied are generally non-reviewable. This means that it consular processing decisions for a green card are final. When comparing adjustment of status vs consular processing, it’s impossible to say that one if better than the other. Each path has its own advantages and disadvantages. What’s best for you depends on your specific situation. Only an immigration attorney can thoroughly analyze your case. This comparison is for informational purposes only and shouldn’t be considered advice in your immigration journey. How do I switch from consular processing to adjustment of status? If you initially selected consular processing on your immigrant petition (Form I-130), you may file the adjustment of status application anyway. File Form I-485, Application to Adjust Status with USCIS provided that you meet the eligibility requirements. Separately, send the National Visa Center a letter that informs them of your decision to switch from consular processing to adjustment of status. How do I switch from adjustment of status to consular processing? If you initially selected adjustment of status on your immigrant petition but you’ve decided to use the consular process, you’ll need to follow a different procedure. File Form I-824 to make the request for consular processing. The transfer will likely add additional lag (six to twelve months) to the time frame. May I travel to the United States so that I can adjust status? As a rule, you may only use a nonimmigrant visa to travel to the U.S. for the purposes stated in the visa. For example, B1/B2 visitors may only travel to the U.S. for the temporary visits related to pleasure or business. They must return home after the purpose of the visit is concluded and/or the authorized stay expires. Generally, traveling to the U.S. on a nonimmigrant visa with the preconceived intent of adjusting status will violate the terms of the visa. There are exceptions for certain visas. For more information on this topic, read about the 90-Day Rule and Adjusting Status.